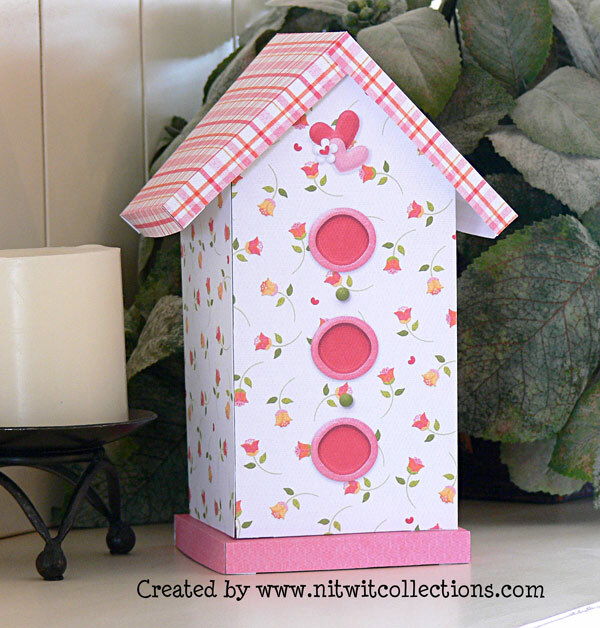 "Birdhouse" Hybrid is a fun project that gives you a great looking item to put on display in your home when you are finished. Try to resist putting it outside for your feathered friends! All you have to do is to download, print the sheets, cut and assemble. Completed birdhouse is 4 inches wide by 8 1/2 inches tall. 4 Template sheets (already covered with the paper) with instructions for cutting and assembly. Recommended paper weight for this project is 61 lb or 230GSM.